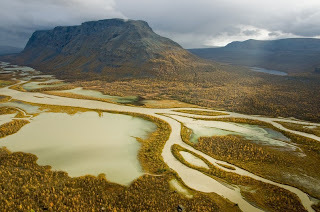 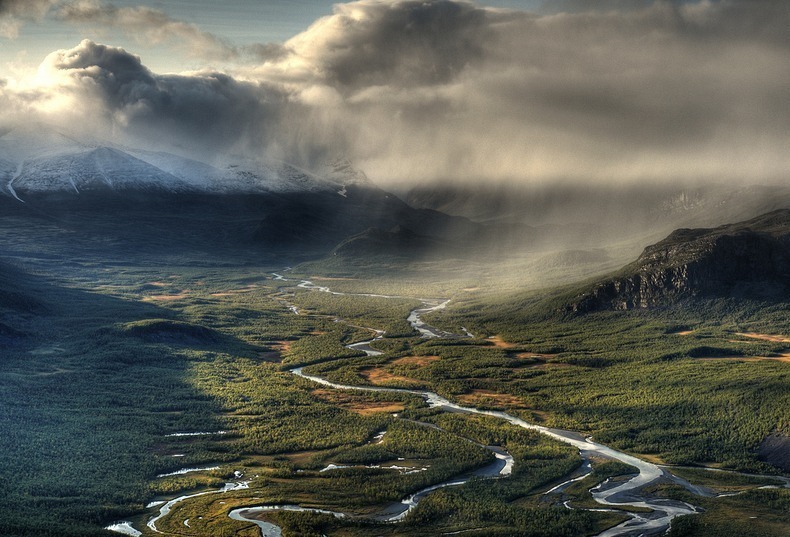 The Rapa River is also called Rapaätno, which flows through the Sarek National Park, winding through wonderful mountain ranges and narrow valleys, in north Norrland, in Norrbotten County, Sweden. 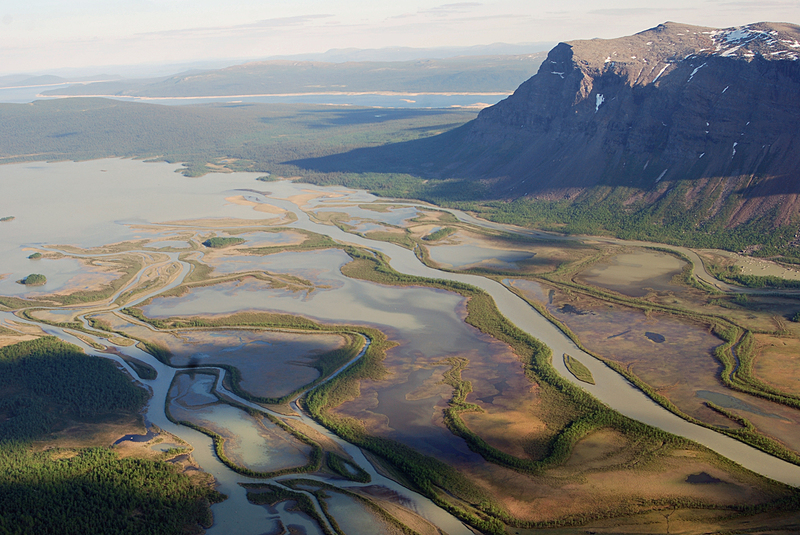 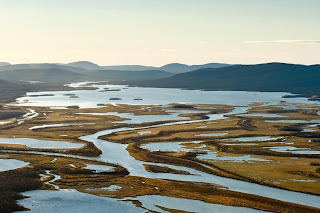 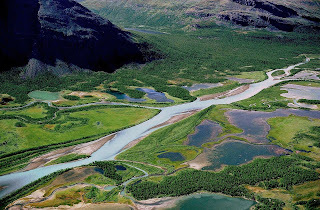 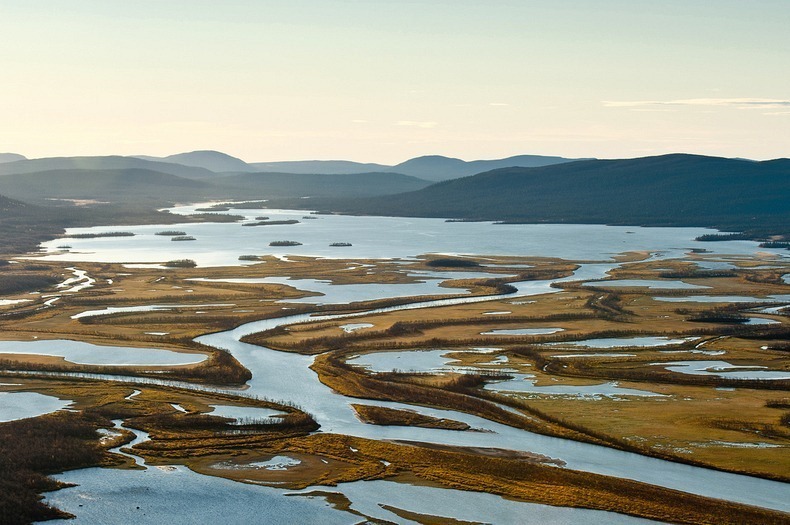 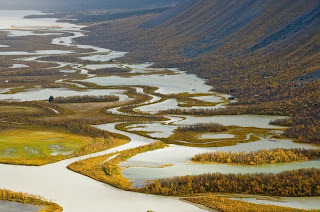 Rapa River stretches 75 kilometer from its source up in the glaciers of Sarektjåkkå to the mouth of Lake Laitaure, flowing through a 35 kilometer long Rapa Valley or Rapadalen. 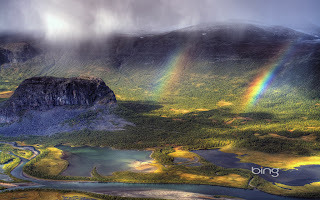 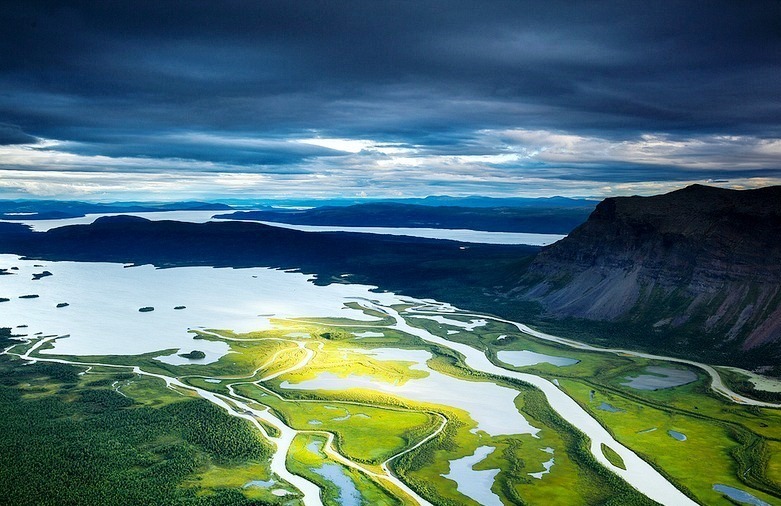 The beautiful Rapa valley is the artery of Sarek, which is normally knowned by it’s splendid piece of unspoiled wilderness with dense thickets of mountain birch, osier and herbaceous plants. The flora is poor in most of the park, but the valley is rich of animal life. 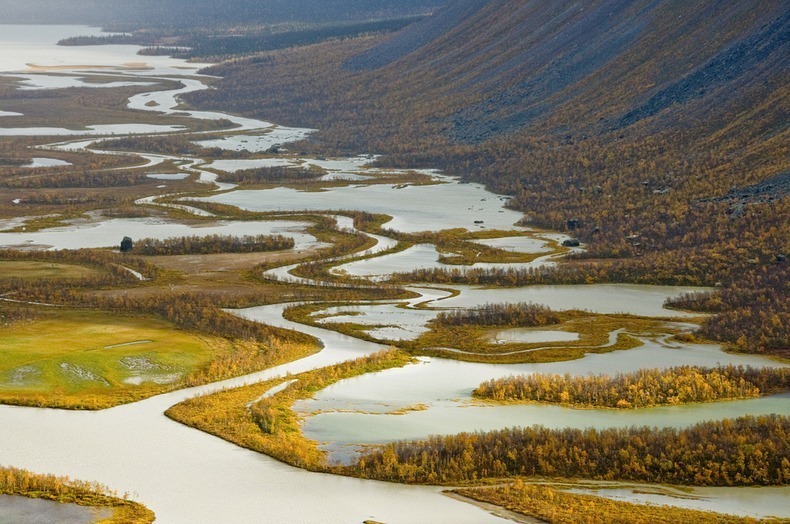 If you’re lucky you can see bears, wolverine, lynx or one of the unusually large elks. 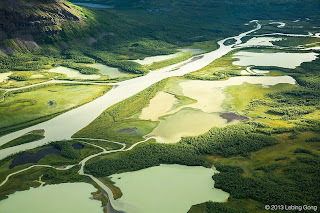 The river delta best view is from air, but if a helicopter ride is not possible, the second best views are obtained from the Skierfe (1179 m) at the right. Skierfe has a vertical wall at the side of the valley, but the top can be hiked from the back side on an easy path. 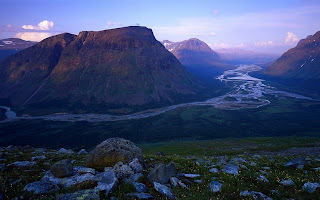 The lesser mountain in the valley at the right side is called Nammatj. 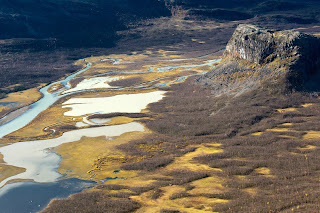 Coming from Sitojaure, it is likely to go up to Skierfe and continue to Aktse on one day. 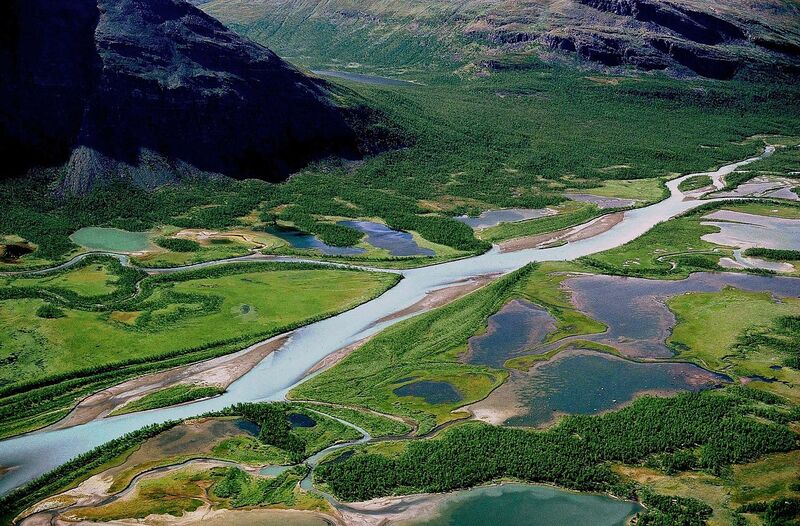 The Rapaätno river has a massive flow and carries green glacial water from about thirty glaciers. 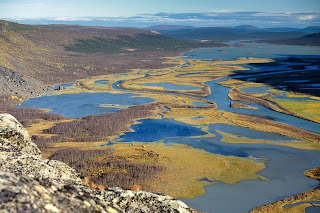 It runs down the Rapa Valley as far as Lake Laitaure, and then rejoins the Lesser Lule River river which ultimately forms the Lule River river at the confluence with the Lule älv. At the mouth of Lake Laitaure, the Rapa River forms the Laitaure Delta. 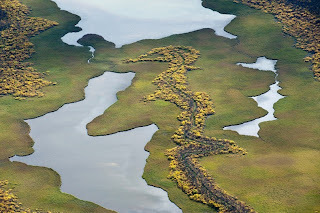 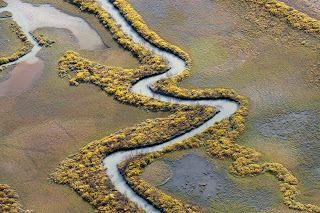 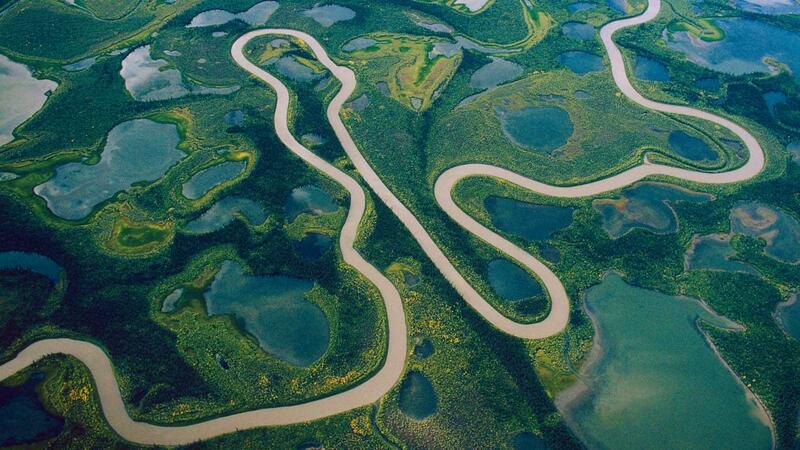 The Rapa delta is regarded as the most stunning river delta in Scandinavia. 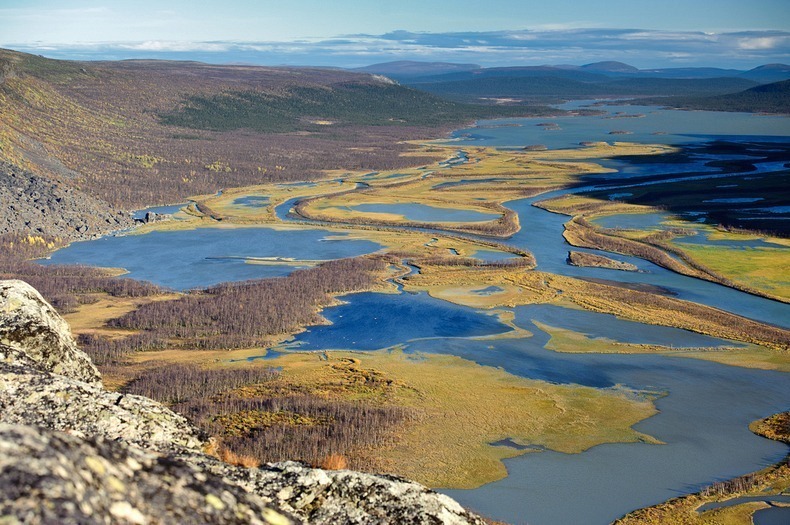 The Rapaätno transports major quantities of sediment. 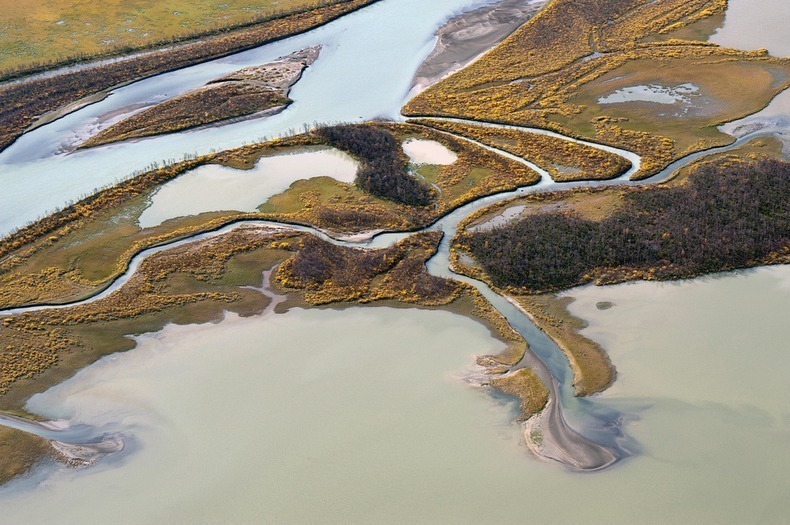 It can carry between 5,000 and 10,000 tons of sediment in one summers day, but a few tons in winter, giving a total of 180,000 tons of sediment moved over the whole year. 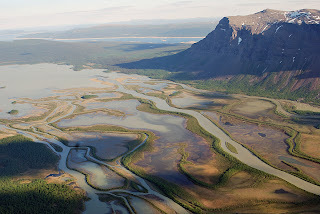 The sediment explains the grey-green color of the river and the formation of huge deltas.